Blog Tempted by AWS Certification Dumps? Do this Instead! Searching for a AWS certification dump? Read this article and I’ll give you something far more useful for the exam, plus 25 mock questions. Over the years I’ve gained plenty of IT certifications. They can help boost your career, get that next promotion or build your own confidence when learning a new technology. When I made the switch from permantant employee and became a freelance programmer, it was my certifications that landed me my first gig. So believe me when I say, “I understand your desire to get AWS certified”. If you’re reading this then I’m guessing you’ve picked a particular AWS certification to take and have possibly booked your exam date. But you just have that lingering doubt that your preparation won’t be sufficient to pass the exam. By this point you’ve invested your time and money in to study and exam booking. Possibly even scheduled a day off work for the exam right. With all that investment, you don’t want to fail and searching the web for a AWS certification brain dump seems like the logical thing to do right, even if the ethical lines start to get a little blurry. If I thought they were useful I’d be writing a very different blog, believe me. However after doing a bunch of research I found a few things out and it turns out crossing those lines really won’t help pass the exam all that much. AWS selected from a pool of over 500 exam questions when each student takes the exam. That means you could take the exam today and your friend could take the exam tomorrow and get completely different questions! That’s not to say one day the test could be harder than another day. The certification program will select an equal number of randomised questions from each category that the exam covers. The point is, AWS are updating these questions all the time. If you do manage to get a complete brain dump of 500 questions, you’ve then got to spend a hell of a lot of time memorising a bunch of answerers that have a very real possibility of not showing up on your exam. Does that sound like an effective revision strategy?! Ok Steve, I get it. Brain Dumps are bad. What can I do? This is where it gets interesting. Often you’ll find with the AWS certifications if you master the format of the questions themselves you can go part way to predicting the answers. Often you’ll find that understanding the subtle differences in the patterns of single answer and multiple choice questions are laid out can tilt your thinking and guide you towards the answers. This combined the process of elimination technique can really cut down the risk cognitive overload during the exam. I go into way more detail on my 25 free Exam quality questions article. Finding high quality mock exams with detailed answer explanations is going to provide a much greater revision aid than any suspect brain dump could. Some companies setup their mocks as if they were in real exam conditions. I.e. with timers and a similar interface to the exam itself. Nothing beats having a timer to add a bit of pressure to you and all of a sudden your brain is tricked into that exam panic mode we all sometimes get. Getting comfortable under these conditions can make you more relaxed come exam day. Once you’ve finished answering a mock exam, the exam simulator programs will often (the good ones at least) give you a run down of each question and explain exactly why the answer to the question was what it was. This kind of information can be invaluable in your learning process. It also reinforces your knowledge of why the wrong answers were wrong for this particular question. Further more you can use those answers in another question where they better fit it. I’ve sang the praises of mock exams, so I should probably tell you where to find a couple of decent ones shouldn’t I? Ok, there are 2 sources of quality mock exam questions other than AWS Coach that I would definitely recommend to look into. These guys are the masters of AWS certifications. Their entire company is dedicated to teaching cloud hosting solutions. With an emphasis on AWS. You can buy their courses and mock exams directly from their website, sign up for a monthly subscription or what I would recommend is purchasing them through Udemy. As they often have sales and discounts. I’ve used WhizLabs before in the past with great results. They specialise in providing high quality mock exams for passing AWS, Java and various other IT related certifications. Purchasing their mock exam pack gives you at least 3 high quality mock exams depending on the certification you are taking. They also offer a free 25 question sampler before you buy. If you’re going to spend your money this is the place to do it. Whiz Labs follow the exam simulator approach I mentioned in the previous section. Obviously it’s not identical to the system you’ll used on exam day. But it’s close enough to provide valuable practice for exam conditions. Also WhizLabs do from time to time offer their own discount codes. When the last one popped in my inbox I purchased 3 additional mock exam packages in addition to the one I was taking, to maximise the discount. As important as it is to take mock exams, it’s also almost as important to avoid revising the wrong questions! I found that Simple Learn exam questions were way off base. They didn’t match the learning materials I had been following from ACloudGuru. They just seemed a little off. I’d avoid these if you can. If you sign up for either of the good examples I gave you in the previous section then you should do just fine come exam day. What exam topic should I pick, IAM, S3, EC2 etc.. Single answer or Multiple choice? After selecting a correct answer, what plausible incorrect answers would you include. Going through this exercise really forces you to think about how questions are formed. They say that the best way to learn something is to teach it. I’d have to agree with them on this point. Plus you can always keep you self made mock exam questions are a future revision aid or publish them on your blog like me! I’ll end this blog by simply saying, don’t worry! With enough preparation and enthusiasm for learning the materials you’ll have no trouble passing come exam day. There’s a wealth of learning resources out there, both paid and free. If I were in your shoes I’d buy the ACloudGuru course and the WhizLabs mock exams. It will save you masses of time searching forums and reading through white papers. Instead you can focus on what really matters. Learning the subject matter, getting comfortable answering exam questions about it and passing the exam! Even if you are taking a different AWS certification, the information is still very relevant. With tips like how much time to allocate for travel on the day of the exam. How long before the exam you should eat. Should you revise on the day of the exam and effective time management when you in the exam room. 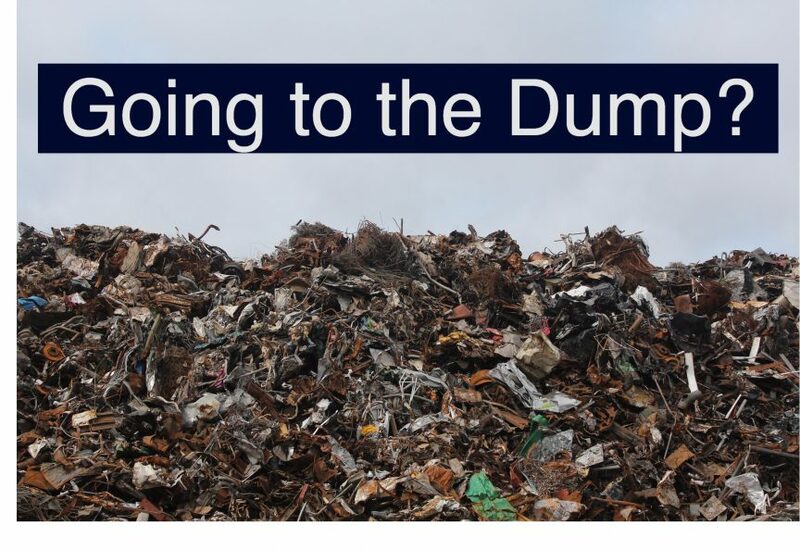 So I guess that is my take on certification dumps. I hope you have enjoyed reading this article. If you found it useful then it would be great to hear from you in the comments below.